Want to 'try before you buy'? 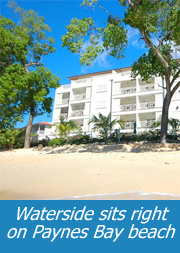 Waterside also offers both short- and long-term rentals in a number of our apartments. 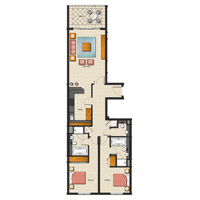 A limited number of one- two- and three-bedroom apartments are currently for sale at Waterside. 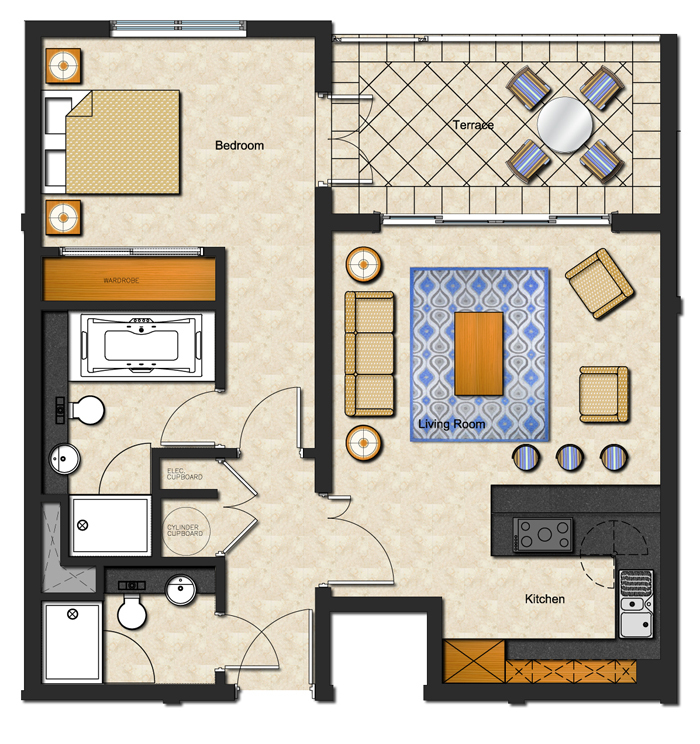 Each luxury apartment is fully-fitted and ready to welcome you. All of our apartments are finished to our high standards of comfort and functionality and each possesses a stunning view over Paynes Bay. With 24-hour security and concierge services, on-site maintenance and property management, and direct access to one of Barbados' most exclusive beaches, Waterside offers everything you could need from a perfect holiday home or permanent residence. If you would like to find out more about what Waterside has to offer, please browse the information below; simply click the heading to expand. Or, why not check out our image gallery? Please see the table below for an overview of pricing and availability of our remaining apartments. For more information, see our specifications below. 24-hour security personnel on site. Extensive CCTV coverage of the site, linked back to the concierge/security. Open plan designed hardwood floor & wall units with peninsula or island breakfast bar onto living area. Black Granite worktops and upstands. Stainless steel inset sink with designer mixer/spray tap and a waste-disposal with a stainless steel dishwasher nearby. Multi function stainless steel oven with a black glass electric hob and a stainless steel built-in Microwave oven. American style stainless steel two-door fridge/freezer with chilled water & ice dispenser. Washing machine and vented tumble dryer in each apartment. 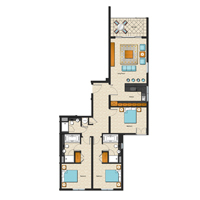 All apartments are fully air-conditioned with individual remote-controlled temperature settings. Bedrooms, living areas and terraces all have adjustable ceiling fans. 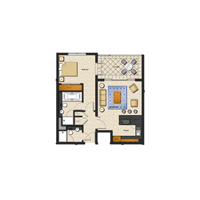 Master bedrooms and second bedrooms are all ensuite. 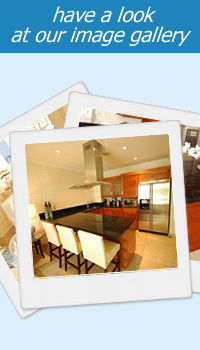 Each apartment is furnished to a high standard of quality, style and comfort. A modern designer pool over 30m long with spacious sundeck. Access to a communal gym on site including a range of cardio and resistance machines and free weights. Air-conditioned, with cable television. Sun loungers, patio umbrellas and outdoor chairs and tables. 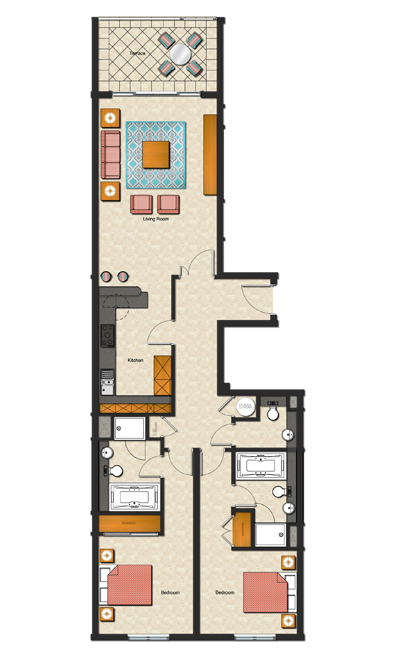 Each apartment has a spacious 'locker' in a separate room in the main building. 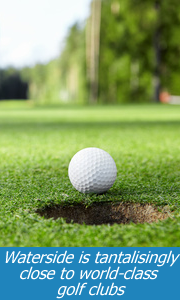 All communal areas are cleaned and maintained regularly by our on-site staff. 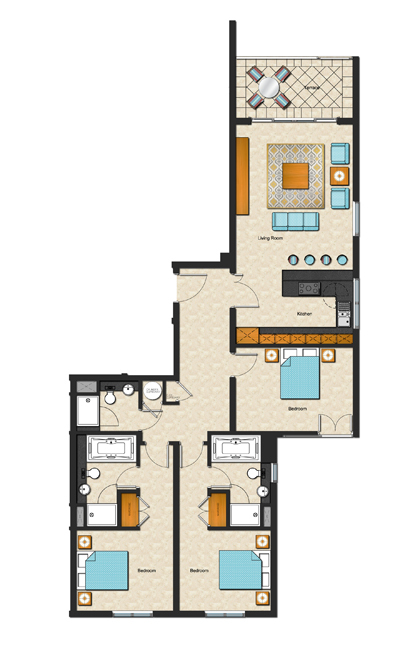 Below you can find representative layout diagrams for our one- two- and three-bedroom apartments. We are happy to provide full technical plans, along with any other information you require in making your decision, upon request. If there is anything you need, please just get in contact.